Learning with Leonie: Establishing Expectation and Goal Setting! This blog is a little late for the beginning of the Australian school year, but just in time for the start of Term 2. Many would think that teaching in an online environment would mean no behavioural problems. And yes, to a certain extend, this is correct due to the lack of physical contact, but how do you get a child, who can be up to 10 hours away, to stay on task and participate? Would you believe it's actually the same as any other classroom? I always get my students to establish the learning and behavioural expectations and consequences for our classroom. This way they have ownership and responsibility for their own actions. I start the discussion through the use of a picture book to cue the class into types of appropriate behaviours. My favourite is 'No, David!' by David Shannon. The behaviours David uses in the classroom seem so extreme and are therefore funny to children in the lower years, which gives a great positive vibe to the discussion, and allow you to have an in-joke for the rest of the year about 'David-like' behaviours. 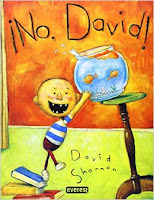 However, avoid this book at all costs if you have a David in your class!! This year I used a downloadable book from Heidisongs called 'Wiggles learns the rules at school'. Basically Wiggles does a series of wrong behaviours and the children in the class teach him the correct way. It is a very simple, repetitive book but it does have a printable dog puppet and a small version of the book that can be sent home. Great for the early years! We then brainstorm the sorts of behaviours we should be using in our classroom to ensure everyone is having the best opportunity to learn. 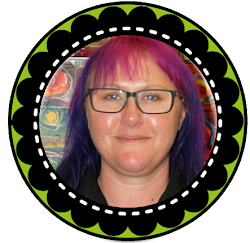 I write these behaviours under the headings of personal, classroom and playground and then lead the children identifying no more than SIX expectations that we can use to ensure everyone is feeling safe at school and can successfully learn. The typical expectations in an online community come down those that encourage courtesy and manners and hold the learner to be personally responsible for their own learning, rather than on the physical expectations. Click on link to go to Heidisongs website. At the start of every lesson I go through these expectations as a reminder and at the beginning of every term we discuss if we need to add or take from the list. While establishing classroom expectations the students also set the positive and negative consequences for their learning. Negative tend to be along the lines of warnings on-air and parent phone calls. Positives are the typical stickers and reward boxes as well as using our web conference tools to give claps and praise. This year I have also included positive reward postcards to acknowledge achievement. I mail these out to the students along with their sticker reward charts. In previous year I will admit I have been a little lax in student goal setting. However, after much summer reading, I have come to realise its importance in helping students to have control over their own learning and empower them to become independent learners and risk takers. At the end of Week 1 I had each student tell me their goal for reading, writing and maths. There is no time limits on these goals, as each student identifies when they believe they have achieved it. I have the goals displayed on the wall of my office and each child receives a PowerPoint of their goals. The aim is that every five weeks, or sooner, I will have an extremely quick conference (phone call) with each child and if they are ready to move up the goal arrow they tell me and explain why. As they move up there is less and less adult assistance until they are doing their goal independently Once they have reached the top of the arrow they receive a reward postcard and choose a new goal. Goal setting for the teacher is also important and my goal, after the Easter Holidays, is to actually have those conferences! You can click on the links below to download each of the goal setting packs I use with my students. So that's the first of five blogs to be written this weekend. My next blog will be all about our annual school 'Kickstart Conference'. Till then. Goal setting is so important to be able to create life-long learners: adults who can make a goal, plan to achieve it and do it! In the Secondary school we also have general goals (not subject related) to allow students to consider wider ideas such as time management, presentation of work, consideration of parents (an important one for all teenagers).